Masai giraffes live only in Tanzania and Kenya, and their numbers are falling fast. The world's giraffe scientists, including The Wild Nature Institute, made an IUCN Red List assessment in 2016 and determined that all giraffes are Vulnerable to Extinction. Habitat loss and illegal hunting are decimating giraffes, their numbers have declined drastically to only 90,000. Africa-wide, elephants outnumber giraffes 4 to 1. Masai giraffe numbers have declined over 50% in the last few decades! We use giraffe-themed environmental education and grassroots advocacy to protect and connect areas important to Masai giraffe conservation in Tanzania and around the world. We promote giraffe conservation through our Giraffe-Themed Conservation Education and Children's Books, and we support anti-poaching activities to keep giraffes safe. Since the announcement that giraffes are Vulnerable to Extinction, many concerned people have asked us what they can do to help save giraffes. Giving money and/or time to conservation groups like Wild Nature Institute is a great first action to help giraffes. Whatever your skill set, there is an important place for you in the giraffe conservation world where you can make a difference. Our work helps giraffes and people to coexist. Our giraffe conservation research is discovering where Masai giraffes are doing well, where they are not, and why. 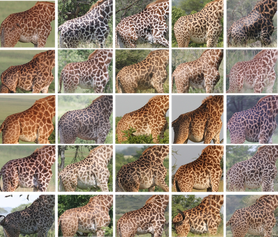 Wild Nature Institute scientists are studying wild Masai giraffes in Tanzania using each animal’s unique fur pattern as identification. ​We are monitoring thousands of individual giraffes throughout their lifetimes to document births, deaths, and movements. This is the world's biggest giraffe study and one of the biggest wildlife demography studies in history, covering the Tarangire Ecosystem (including Tarangire National Park, Lake Manyara National Park, Manyara Ranch Conservancy, Randilen Wildlife Management Area, and Burunge Wildlife Management Area), Serengeti National Park, Ngorongoro Conservation Area, and Arusha National Park. We are currently seeking new partners to join our efforts to save the Masai giraffe. Please contact derek@wildnatureinstitute.org to discuss how you or your organization can #standtallforgiraffe and support this important work.